Home insurance appraisers play an important role in the insurance industry. They not only appraise the value of a home or business, but they also determine the value of a home or business insurance claim. It is important to distinguish the difference between an appraisal that is done for a real estate transaction and one that is done for an insurance claim – And most importantly, these two different types of appraisals require different skill sets and state requirements in order to be successfully completed in an accepted format. Today we will focus primarily on the role of an insurance appraiser for the purposes of a claim. How do home insurance appraisals work? What can you expect from your appraiser during an insurance dispute? What’s the difference between an umpire, an arbitrator, and an appraiser? We’re answering those questions and more about home insurance appraisals, the arbitration process, and mediation in efforts to help those dealing with disputes on insurance claims. To resolve a dispute when the insurance policyholder and insurance company disagree over the value of a claim. They are not used to determine coverage of a related peril, but only the cost to make those repairs that have been approved by the insurance company. Appraisers are brought in to resolve insurance disputes over the value of a claim. In the event of a dispute, you will hire your own appraiser and your home or business insurance company will hire its own appraiser. You will then split the cost of an “umpire” whose role is to decide which appraiser has made the proper assessment of the cost to repair or replace your damaged items. It is important to note that, should you go into “appraisal” for the cost of the repairs, you must spend the money for your appraiser and half the cost of the umpire out of your own pocket, and that there are no guaranteed results. When you and the insurance company disagree on the cost to repair or replace your damaged items, a lot of insurance policies have what is called a “Mandatory Appraisal Clause”. This means that your right to file a law suit is delayed (or completely denied) unless you first comply with the appraisal clause in your policy. The goal of the appraisal is simple: the insurance company wants to make sure they know what they are paying for and that it is actually necessary for all of the charges to be paid so that you are fully indemnified for your loss. An insurance appraisal process is most often directed by the insurance company. Once they notify you that they are not going to pay the amount you need to repair or replace your damaged items, they will usually give you notice that for any further payments to be released you must go through the appraisal process. In this situation, it is very important that you act quickly. You have 20 days to hire an appraiser and your appraiser should be submitting his/her choice for the umpire. If the insurance company and the policy holder are unable to agree upon an umpire, one will be appointed for the process. In a typical insurance dispute involving an appraisal, there will be two appraisers and an umpire. You, the policyholder, will appoint one appraiser. Your insurance company will appoint the other appraiser. The umpire is a neutral third party. Most policy appraisal provisions allow the two party-appointed appraisers to select the umpire. In most cases, it’s best if the umpire is selected early in the process, although the umpire may be selected later on in some cases. It is important that your appraiser tries to select the umpire as this is the person that will be making the final decision. The umpire should be skilled in construction and code requirements so that they can make an accurate decision. A “retired family court judge” is not a good choice as they don’t typically have the skill set to understand the mechanics of the particular repairs. The umpire has a job similar to a mediator: the umpire is a neutral third party designed to resolve disputes between two appraisers who cannot agree on a loss. Sometimes, the appraisers cannot agree on an umpire. In this case, one party will petition the court, and the umpire will be appointed by the court. Each party will bear the other expenses of the appraisal and umpire equally. In other words, your insurance company will hire its own appraiser and you will hire your own appraiser. All other costs – including the cost of the umpire – are split equally. All appraisals will have a defined scope. This “scope” refers to exactly what is being appraised. Typically, appraisal disputes involve a specific loss from a specific covered event – like a house fire or flood. The parties will need to agree on the scope of the appraisal before the case proceeds. Sometimes, one appraiser will push for a broader scope to the appraisal while the other will push for a narrower scope. Eventually, the two parties agree on the scope of the appraisal. At this point, a formal appraisal agreement may be signed. If they are unable to agree on the scope of loss, then the umpire will make the decision on who is closest to the actual costs for all repairs that are needed. What Does an Appraiser Look at When Visiting Your Home? Cause of Loss: Both your appraiser and the insurance appraiser must first determine that the cause of loss has been properly documented and that it is a covered loss under the terms of your insurance policy. Actual Damages Caused By a Covered Peril: Both appraisers should then begin to inspect your home and write a repair estimate based on the damages that were a result of a covered peril. These estimates will only be written for the items that were damaged as a direct result of this loss. Damages that are present from any other loss will not be considered and a separate claim must be opened for those damages should you wish to do so. Ensuing Damage: Ensuing damage is something that occurred as a direct result from the claim that is in question. A small crack in a pipe can quickly lead to a big issue over time. The appraiser may check your plumbing, electrical and HVAC systems to see if any damage was done as a result of the actual cause for the claim. City or County Code Requirements: Many times when filing a claim, your home or business might have been built before new city/county code requirements were updated. When repairing or replacing a damaged item, the insurance company pays you for like kind and quality of what was existing at the time of damage. An issue may arise when you go and pull a permit from the city/county for the repairs. In some cases if you repair or replace your items with like kind and quality, your home will no longer up to code for that area and it is no longer “grandfathered in”. Any repairs must be brought up to the new code and both appraisers should have knowledge of current code requirements to make changes to their estimates based on those code upgrades. The good news is that most insurance policies have a provision for this in their language and these upgrades are covered when submitted properly. Hidden Damage: During the process of your claim, there are times when there is “hidden” damage that might not be visible until the repairs are started. Most adjusters are forbidden to remove drywall or cause any permanent damage to your home. 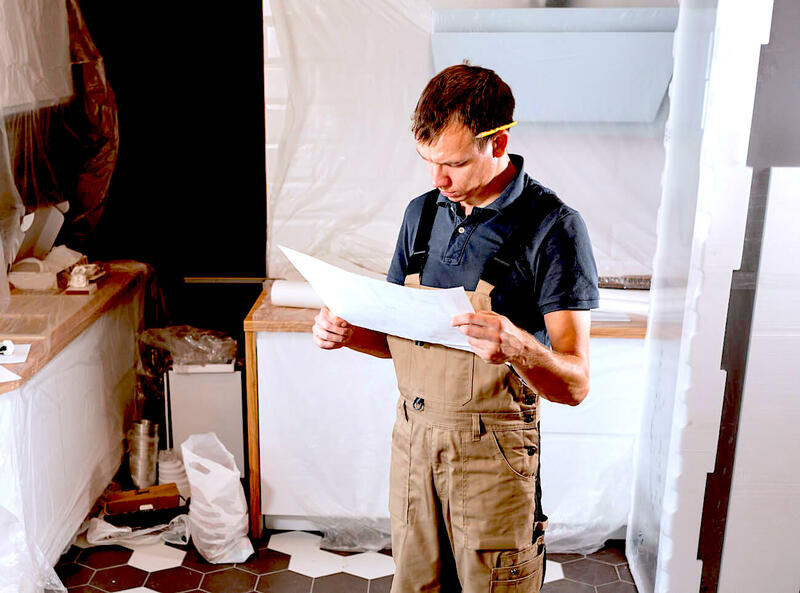 Your contractor must be present to remove drywall or access areas that are hidden when you suspect there is damage that has not been addressed previously. It is important to do this before the appraisal process so that the appraisers can take everything into account when they do their inspection. Remember that a real estate appraiser and an insurance appraiser are two very different skill sets. When hiring an appraiser for a claim, you want to make sure that you use an adjuster or an appraiser for insurance claims. Public Adjusters are a good source for your appraisal needs as they tend to have vast experience in correctly assessing damages and taking into account city/code upgrades and hidden damages. Your state board for insurance adjusters can be a good place to start and most states also have an association of public adjusters that usually have very high standards and skill sets. The Insurance Appraisal and Umpire Association directory provides lists of certified professionals by state. There is also a National Association of Public Adjusters that has a list of adjusters that are likely close to your home or business. What is an Appraisal Dispute? An appraisal dispute occurs when two appraisers cannot agree on the value of a covered loss. The insurance company’s appraiser might argue that your home only has $10,000 in damage, for example, while your own appraiser argues that it was closer to $25,000 in damage. In this case, you have a dispute that may need to be solved with an umpire and both appraisers. The terms of the appraisal dispute can be found in your insurance policy’s appraisal clause. Some insurance policies have something called an appraisal clause. This clause explains how appraisers will resolve a dispute over an insurance claim. When this language is present in your policy, it is usually a mandatory step that must be taken before your could sue your insurance company if you feel that you have been underpaid. The appraisal clause plays an important role in insurance claim disputes. The appraisal clause is designed to be the method for determining disputed values. If you and your insurance company disagree about a value on a particular claim, then the appraisal clause might come into effect. However, if you were denied coverage completely, then an appraiser is not your next step. Appraisal is only for determining the cost of the repairs, not if the repairs are covered under your policy. It’s easy to get confused with insurance disputes. Part of the problem is that few policyholders understand the key differences between appraisals, mediation and arbitration. The appraisal clause is meant to be the method for determining disputed values. In an insurance dispute, you can refer to the appraisal clause to determine how to proceed with the insurance claim. The cost of the appraisal process, mediation or arbitration are usually significantly lower than filing litigation in court, but the costs must be paid upfront and from your own funds with no guarantee of the outcome. The cost is usually determined by the hours it takes the adjuster to do the inspection and write the report or based on the square footage of the home or business. The fee that an appraiser charges you must be a set fee. This means that the appraiser can’t charge you based on the amount of the estimate or the amount of the claim settlement. They must be an “uninterested” third party and their fee can’t be based on the outcome of the settlement. Ultimately, the goal of the appraisal clause is to outline the process of resolving an insurance dispute where you and your insurance company cannot agree on the value of a claim. For other insurance claim disputes there may be an option, or sometimes requirement, for mediation or arbitration before filing a lawsuit. Mediation is the process of resolving an insurance dispute by reaching an agreement with the help of a third party mediator. During mediation both parties present their information to a mediator while still having input on the final decision. The goal is to reach an agreement or compromise with the mediator but the mediator does not have full authority or dictate a final decision. A mediation session is confidential and the only record is that of a settlement agreement, if one is made. If an agreement is reached through mediation, a Settlement Agreement is signed and filed with a court of law becoming a binding agreement between the two parties. Some courts may require an appraisal or mediation before hearing a case over an insurance dispute. Arbitration is the process of settling a dispute through a legal preceding without taking it to a court of law. Some insurance policies will contain an arbitration clause that details the terms or conditions of the arbitration process. In some policies arbitration is required for certain types of disputes. With arbitration both parties will attend a legal meeting with a third neutral party known as an arbitrator. Each party presents their information to the arbitrator and agrees to abide by the decision of the arbitrator, known as an award. In most cases this decision is binding and can not be appealed. Arbitration is commonly referred to as Alternative Dispute Resolution and is typically less expensive than taking a dispute to court with a lawsuit. An appraiser is appointed by both the policyholder and insurance company to resolve an insurance dispute. In the event of a covered loss, for example, there may be a dispute over the value of the payout. The two appraisers will appoint an umpire to help resolve this disagreement. Appraisers play a crucial role in insurance disputes. However, they don’t serve as arbitrators. Two of the most commonly misused and misunderstood terms in the insurance industry are “appraisal” and “arbitration”. The appraisal clause in your insurance contract is meant to determine disputed values, but it is not meant to resolve disputes over whether or not coverage applies under an insurance policy. By educating yourself on the appraisal process today, you can better protect your investment. If you have further questions or need help with any part of an appraisal process or an insurance claim dispute contact ClaimsMate to get in touch with qualified experts.